Fantastic Fest has announced a second set of films that will make up this year's must-be-at festival. As there's such an abundance of richest that it's truly hard to pick which ones are the most interesting of the bunch. But via the FestivalScope service I was lucky enough to be able to checkout two of the recently announced films, so I'll talk a bit about those. 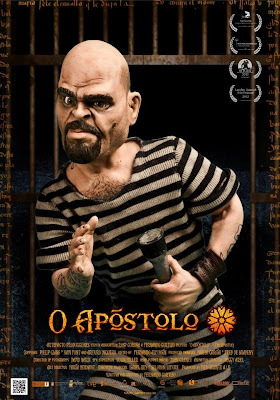 First off there's O Apostolo - a beautifully shot stop-motion animation film filled with creepy clergy, religious pilgrims and a thief just looking to collect his last score and retire. Set in the Gothic Spanish countryside a town of overly welcoming yet pointedly insistent older folks offers those following the Way of St James a place to sleep for the night. And they really, really want you to drink something. At times the film feels a bit loosely held together going off in different directions at once. But in the end it's so gorgeous to look at and generally satisfying that I rather strongly recommend it. Plus, I'm pretty sure it'll look even better in 3D when it screens in Austin. On the other hand A Field In England is going to be a hit with a much narrower audience. Four deserters during a war run into each other and take refuge in a startlingly un-war stricken field (in England). They engage in a bit of self justification / delusion ("We're not running away we're going for a beer") and chat away the time as they seek out an ale-house one of them claims to have seen nearby. They meet some other traveler and things get weird as they're compelled to search for buried treasure. Along the way they eat mushrooms, trip out some and not surprisingly for director Ben Wheatley engage in a bit of violence. 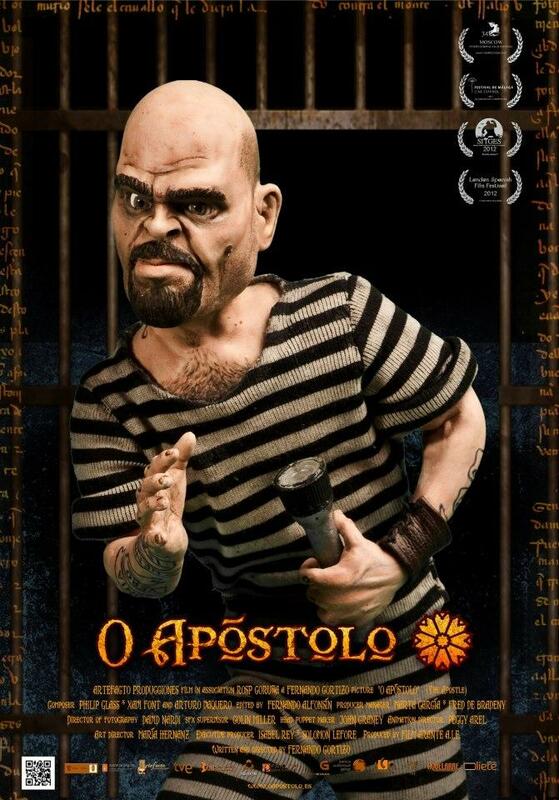 All the things you'd expect from the creator of Kill List. The full 2nd wave list of stuff announced as playing at the festival this year is right past the jump. Austin, TX-Tuesday, August 13, 2013- Fantastic Fest is excited to announce the second wave of programming for the ninth edition of Fantastic Fest, taking placeSeptember 19 - 26 at Alamo Drafthouse Lakeline in Austin, Texas. See below for descriptions of nineteen new World, North American & US premiere films at this year's festival and stay tuned for more amazing 2013 content to be announced!